Blue as the earth. Black as the cosmos. In 2019, Girard-Perregaux is beginning a symbolic dialogue with the universe, which takes a chromatic turn with the 1966 “Earth to Sky Edition”. Exposed to the solar wind, the characteristics of this fine and elegant classic remain unchanged. But thanks to a play of blue and black shades, its nature glides towards an astronomical dimension. The exosphere is the last layer of the Earth’s atmosphere. Its blackness means it virtually merges into interplanetary space. Like a border with the void, black largely dominates this revisited classic. Its DLC- treated beadblasted steel case, its alligator leather strap and its date disc are dark as night. And in the heart of the night, the light glows through. Water represents 70% of the Earth’s surface and is reflected in the atmosphere. 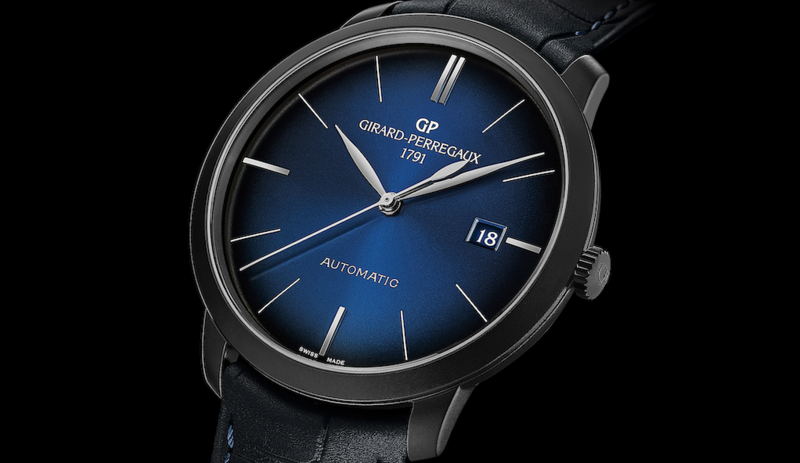 The blue on its delicately curved dial is therefore a tribute to the thin film that has earned our planet its nickname. Almost translucent, it echoes Jean-François Bautte’s stunning creations in blue Geneva enamel. Finally, the topstitching on the alligator leather strap accentuates this terrestrial ballet. A revisited pillar of the Girard-Perregaux collections, the 1966 “Earth to Sky Edition” fits almost literally into the theme of the Salon. Between the colour of the Earth and that of the Sky, the dialogue between blue and black sends these 149 timepieces into a new orbit. 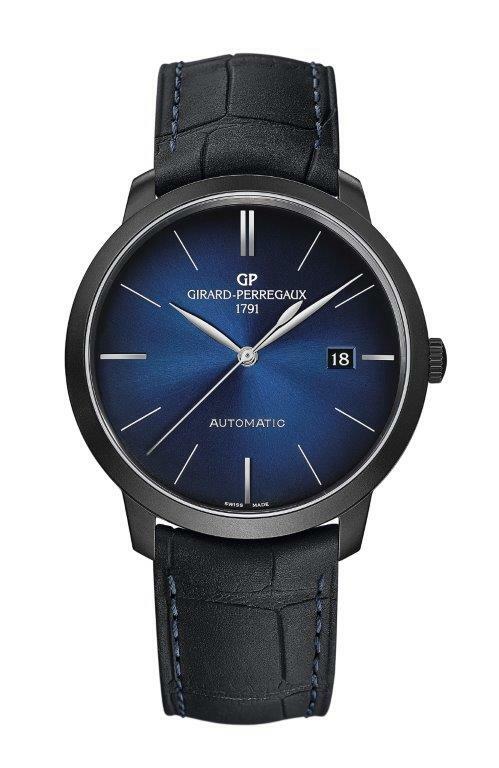 In keeping with its longstanding tradition, Manufacture Girard-Perregaux has equipped this model with a tried and tested mechanical movement, Calibre GP3300 calibre, whose ultimate refinement reveals no less than five different finishes. The plate and bridges are meticulously stretched, bevelled, engraved, circular- grained and adorned with Côtes de Genève. The blued steel screws and gilded engravers are revealed through its sapphire crystal back.